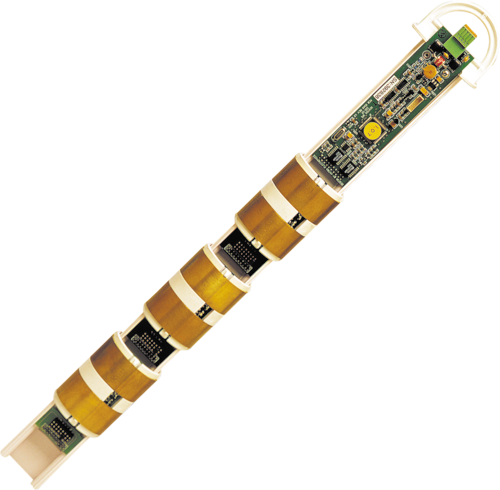 The 21841, manufactured by Sentek, provides a 2 m EnviroSCAN probe without the clip-on sensors or seals. It consists of an SEN22010 2.5 m Access Tube, a 2 m probe rod, SEN22400 Top Cap Assembly, and a handle set with screws. Up to 16 click-on water-content sensors can be added. Each sensor measures water content at one position on the probe; one sensor per measurement depth is required.